A significant percentage of the truck drivers on U.S. highways today continue to use automatic onboard recording devices (AOBRD) for logging their driving hours as the industry moves closer to a Dec. 16, 2019, deadline to switch those devices over to newer electronic logging devices (ELD). More worrisome is the large number of AOBRD users who say they will make the switch in the fourth quarter of 2019, setting up a potential nightmare situation of tens of thousands of drivers trying to acquire devices and manufacturers trying to set up installations at the last minute. Those are among the findings of a survey of customers conducted by CarriersLists on behalf of FreightWaves. The survey found that 40 percent of respondents said they are still running AOBRDs, and 51.92 percent of those responding plan to complete their conversion to ELDs in the fourth quarter of this year. There were 230 respondents to the survey, 51 percent have fewer than 19 trucks. While much of the industry switched over to ELDs by the April 1, 2018, hard enforcement deadline, there are still some stragglers. Those who used AOBRDs prior to the December 17, 2017, soft enforcement deadline are able to continue doing so until December 16, 2019. In an earlier interview with FreightWaves, Daren Lauda, vice president and general manager of North America for Teletrac Navman, said that many people waited until the last minute before the December 16, 2017, deadline and that created issues in both delivering product and onboarding customers. In addition to the 51.92 percent that said they will wait until the fourth quarter to adopt, an additional 28.85 percent of those responding to the CarrierList survey said they would wait until the third quarter, meaning 80 percent of AOBRD users will be looking for suitable ELD devices and hoping to get connected in the second half of 2019. Clem Driscoll, founder and principal of consulting firm C.J. Driscoll & Associates, said he’s heard various numbers as to how many in the industry are still using AOBRDs but suggests it’s probably around 50 percent at this point – in line with the CarrierList survey. Jason Pesek, product manager with KeepTruckin, told FreightWaves that his company’s customers should be fine making the transition, but there is concern for those looking to smaller ELD providers (there are more than 200 such providers on the Federal Motor Carrier Safety Administration’s ELD self-certification list). “KeepTruckin does not anticipate that our current or future user base will experience a shortage of available devices or software onboarding problems,” he said. 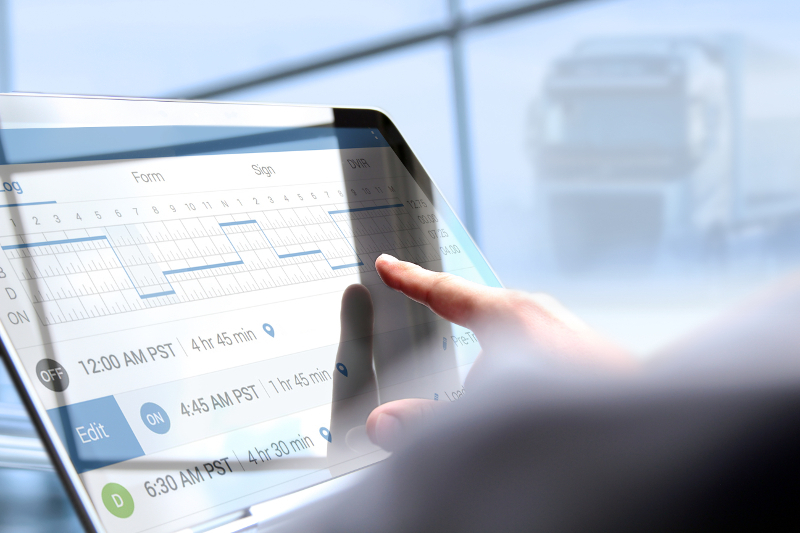 “As a cloud company we can quickly transition fleets by changing a setting on our dashboard. Driscoll told FreightWaves that drivers are hesitant to switch, in part, because of some inherent advantages AOBRDs provide over ELDs. One such advantage is the ability to reclassify driving time as personal conveyance or a yard move. An ELD prevents reclassification of driving time. Another is the ability of fleet managers to reassign driving time. A driver that forgets to log out of the device will not get “dinged” for driving time when the technician moves the vehicle into the maintenance bay. In either case, an ELD user can use annotations to note the proper usage of the vehicle, but the recorded time itself can’t be changed. Two other benefits AOBRD users currently receive include an exemption from the output file requirement and a higher speed before drive time on the device is triggered. In the case of the speed, an ELD triggers drive time at 5 mph while an AOBRD has no minimum requirement. An ELD also must be able to transmit raw data from the vehicle, including unidentified driving events. KeepTruckin told FreightWaves that 70 percent of its customers are now ELD compliant, with 60 percent of the KeepTruckin ELDs now running in ELD mode (its devices can run in either mode). J.J. Keller said that 100 percent of its installed customer base can switch from AOBRD mode to ELD mode with an over-the-air update, however, the company cautioned that customers continue to underestimate the amount of driver training and education that will be needed. To help with this transition, Keller has published “2019 Hours of Service Blueprint: Your Strategy for Meeting the Final ELog Deadline.” The guide addresses questions on topics such as what is involved in switching and whether the device currently in the truck is an older AOBRD or a newer model. Lauda agreed, saying drivers need to consider the learning curve. CarrierLists also asked respondents whether they anticipated any productivity hit once they switched to an ELD. The majority, 53.85 percent, do not expect any impact while 38.46 percent expect either a slight or a great decrease in productivity. When the April 1, 2018, hard enforcement ELD deadline went into effect, the industry did see an impact, although most of that impact was likely attributed to new ELD users as opposed to those that switched from an AOBRD.